(KPL) Editors and senior journalists from 11 Asean, South Asian and East Asian countries located along Belt and Road economic corridors joined a study tour in China under the theme Deepening Cooperation between China and Neighbouring Countries, Identifying the Results of Belt and Road Cooperation and Regional Connectivity” between Aug 21-31. Joining the trip included over 20 editors and senior reporters representing print and broadcasting media from the Lao PDR, Vietnam, Myanmar, Indonesia, the Philippines, India, Pakistan, Mongolia, Japan, R. Korea and DPR Korea. 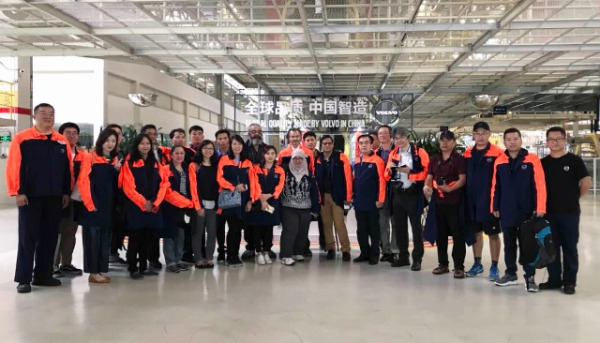 They visited key projects and business establishments in districts, provinces and autonomous areas located along Belt and Road Corridors namely Beijing, Daqing and Harbin of Heilongjiang, and Inner Mongolia. When Chinese President Xi Jinping visited Central Asia and Southeast Asia in September and October of 2013, he raised the initiative of jointly building the Silk Road Economic Belt and the 21st-Century Maritime Silk Road, which have attracted close attention from all over the world. At the China-ASEAN Expo in 2013, Chinese Premier Li Keqiang emphasized the need to build the Maritime Silk Road oriented towards ASEAN, and to create strategic propellers for hinterland development. Accelerating the building of the Belt and Road can help promote the economic prosperity of the countries along the Belt and Road and regional economic cooperation, strengthen exchanges and mutual learning between different civilizations, and promote world peace and development. It is a great undertaking that will benefit people around the world, according the Chinese National Development and Reform Commission. Laos has been active in contributing to the implementation of Belt and Road initiative. Laos-China Railway project is among major projects significant to the Belt and Road implementation to boost trade, investment, tourism, and exchange between people of Laos and China as well as between people in other ASEAN member countries and China. The construction of the Lao-China railway has been confirmed over 42 completed and the sections making the fastest are those involving the building of railway pillars, tunnels, and railway foundations.